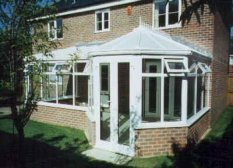 Stowmarket building contractors, MJ Services offer a design and build service for their conservatories. Photos depict modern uPVC framed, double glazed sealed unit conservatories. These are manufactured to suit YOU the customer. On the right shows a timber framed conservatory custom made, that was required for a conservation area. 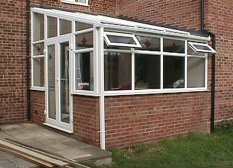 Any conservatory can be designed in various concepts, including choices of frame colour & material and all uPVC frames carry a 10 year colour fast guarantee, Your only restriction is your imagination. 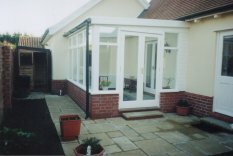 So let M J Services help design and build your new conservatory. 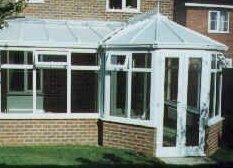 Contact us at MJ Services for more information on the conservatories and other building service that we provide throughout the Stowmarket and wider Suffolk area.